I love Brownie, who doesn’t? Now, most of my friends use ready made mixes to make them. I prefer home cooking and always try to find quick recipes. 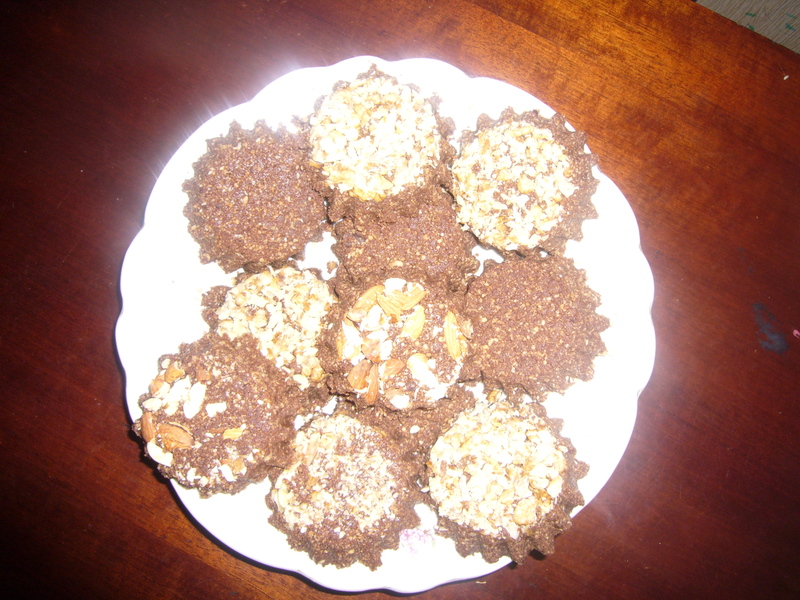 Take a look at what I call 5 min Brownie cookies recipe. It really takes just 5 min to make with no ready mix used. This is the kind of cookies I use. Melt the butter. 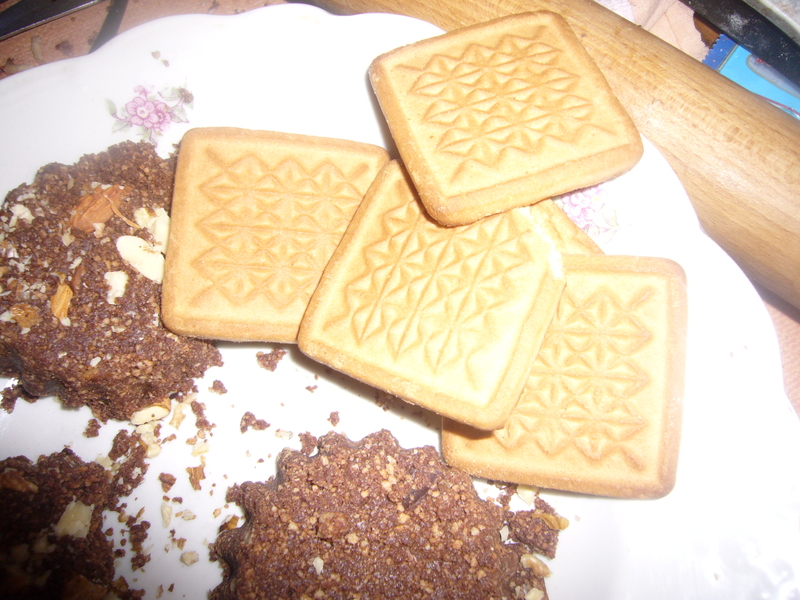 Put the cookies into your kitchen cutter or kitchen machine and chop them. 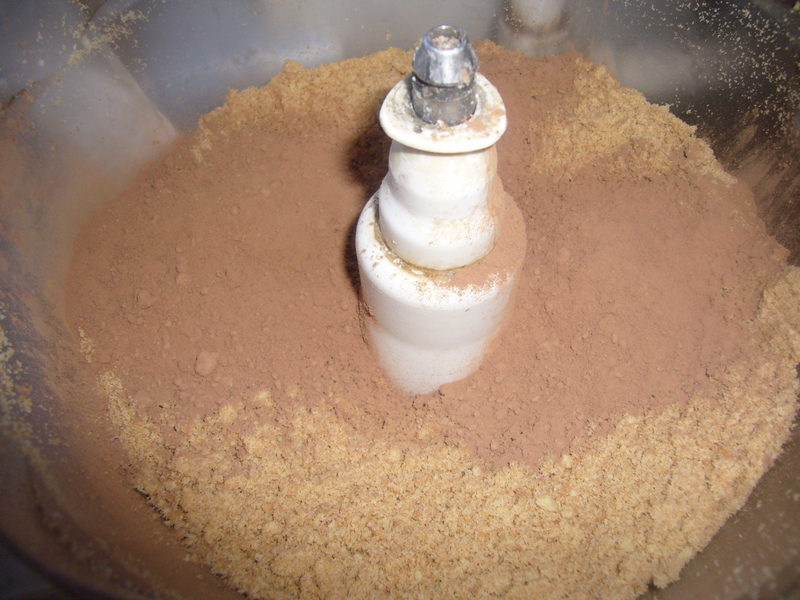 Add sugar, cacao powder and a piece of chocolate bar, chop and mix again. Then pour in the melted butter and condensed milk or cream. Mix again. Now, you can form your Brownie cookies. You can just roll the balls or sweet potatoes of them with your hands. I used a small form for cakes to make them. I crushed nuts and put some inside the cake form, then filled it with the mix and press hard. Then I just got the ready cake out. You can form hearts out of this Brownie mix, too and use them for your Valentine day celebration. This entry was posted in Easy Recipes and tagged 5 min recipe, Brownie, Brownie quick recipe, busy mom, color modeling dough recipe, cookies, cooking, cooking tips, creative tips, easy cooking, easy recipe, food, quick recipe, quick snack for kids, tips for moms. Bookmark the permalink.